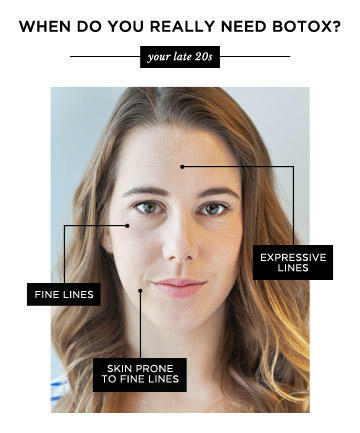 Botox to prevent lines? Not so much. Update on my original post about first time Botox. I had a Nurse Practioner BFF suggesting I start now rather than later. I’m always the curious and worrying type. So I came and experienced Botox 101 by a very skilled MD. I had that MD come back for a house call to my office a week after the initial treatment to fix “Spock brow”. We did very light dosage knowing a week out an adjustment most likely would be needed. Some people like Spock brow. If your eyebrows aren’t arched to begin with it sometimes can look quite nice. My big eyes and natural Brooke Shields or Jack Nicholson brows were always a centerpoint in my facial features. So numbing the center muscle and not the outer muscles of my forehead led to a few days of me purposefully making menacing looks for humor. It was REALLY fun!! I didn’t get the treatment in secrecy so I just had fun with it. I’m 8 weeks post treatment so my face is feeling normal though the effects haven’t worn off yet. But here’s what I found out. Freeze the forehead and the eyes will have crows feet when you smile even though they never did before. I crinkle my nose making lines that some people hate (bunny lines). That didn’t change and was the only way I could express a look of real happiness for about two weeks. I went with the preventative measure, which meant sticking up my forehead more than my elevens bc my forehead presented a risk for horizontal lines that are oils be permanent. Couldn’t raise my eyebrows at all and now I can a raise them, but my forehead doesn’t wrinkle. Thats the good part. It looks really natural. To go back I would need much less treatment but would need my side eye treated. People become more and more frozen. For me, it’s not for me. Many young people look older with a frozen face. And I always thought my expressive eyebrows were a curse, I couldn’t hide what I was thinking. But it’s better then frozen birch face. Plus and minuses def. Glad I tried it but I won’t be renewing my face paralysis for again anytime soon. To be fair, it was weird the first two or three weeks and then felt and looked normal. But I got headaches at first when my eyebrows wanted to lift but couldn’t. Frown but couldn’t. I don’t think it’s for me. I did it two times about 10 years ago. The first time I liked but the second time I did not like it since I did not look like myself when I smiled. My eyes did not reflect the smile and it just freaked my out too much not looking like myself. So now, ten years later, I wish I had my ten year ago face but I do not want botox again. lol! Cool I'm glad, those reality programs about botched surgeries are enough to make sure I never encourage a woman to alter her physical appearance. Stay beautiful. That is good you tried it and experience it's good to take risk and try different things. At least you experience it. It's Neurosis getting surgery anyway. It isn’t surgery and it temporary. It's still Neurosis. Can't you be happy without it? Give it time. But totes glad that you don’t care! Women are recommended to start getting Botox at 25 for preventive measure. NOPE don’t dont it. Oh no, it’s not, not what it seems! Is it hard to get perfect arms like these women? Are boils in the groin area, and inner thigh area a reason to see a doctor immediately? Are my testosterone levels too high? What are some ways you deal with anxiety? Why do we not get screened for Cancer? What are doctors being paid to do?